Lapin Leuku — studio Nathalie L.
The initial to the Sami knife project was taken by interior architect Simo Heikkilä, who invited 22 international designers to re-design the traditional everyday object. Lautenbacher´s knife´s handle is in porcelain and reindeer bone. 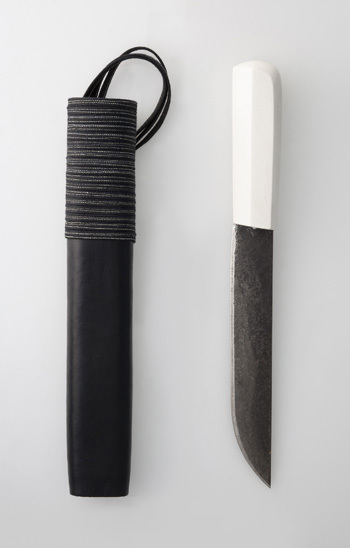 The new interpretations of knives were exhibited first in year 2009 in SIIDA, The National Museum of the Finnish Sami / Inari Lapland and Finnish Design Forum / Helsinki, before a tour in Europe and Japan.